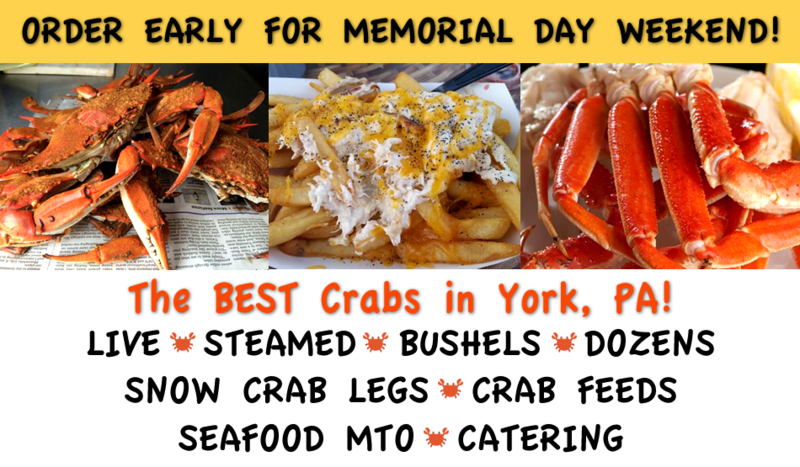 ORDER EARLY TO RESERVE YOUR MEMORIAL DAY WEEKEND CRABS! Serving steamed crabs to the greater York area and northern Maryland Crab Lovers! York County's ONLY mobile steamer owned and operated by a commercial crabber! 20 years of experience on the Eastern Shore of a Local watermen! Our boat to our steamer.....Mike brings you the freshest Maryland blue crabs at the best prices possible! Order steamed crabs in the York PA area by calling 717-252-2722 now.